Summer Drum Sale at Sims! Got the itch for a new drum set?! Well you've picked a great time! 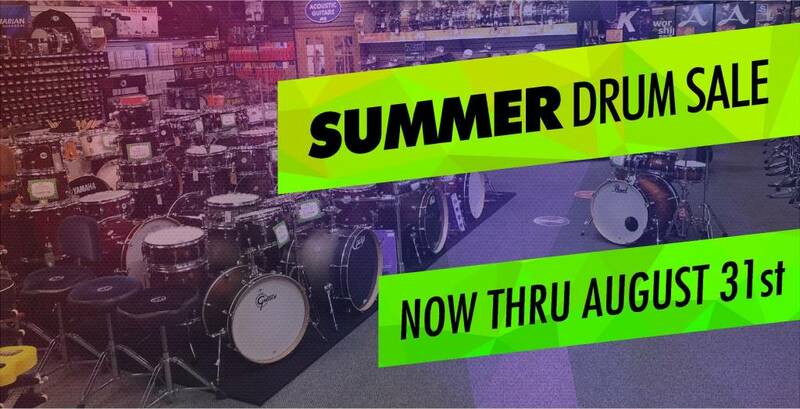 Now through August 31st, Sims is having a huge sale on just about every drum set we have in stock! With savings up to $500 on select kits, we've got some amazing deals you do not want to miss! Come by and check out all of the Summer Sale prices in store and let us help you get the perfect kit! See our selection online and call for special pricing!